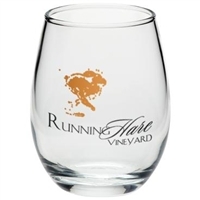 One of the first questions on most people’s list is … how the heck do I choose the right glass for the wine I’m serving? And it’s a good question, considering that the shape of the glass, the width and height of the “bowl” (the part that actually holds the wine) as well as its overall size, the length of the stem (if the glass even has one) and the styling of the rim all directly impact the wine-drinking experience. 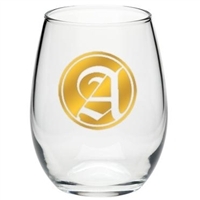 Stemless wine glasses benefit wines that do well with a little warmth from the hands, says Saveur, while short-stemmed snifters encourage the same effect and work especially well for the fuller flavors of brandy. A wide bowl with a narrow top ensures good aeration while concentrating the bouquet of a wine such as Pinot Noir, while a concentrated red wine such as Bordeaux does well in a taller glass with a “generous” bowl. A white wine such as Sauvignon Blanc does well in a traditional white wine glass with a taller, narrower bowl … though not so tall and narrow as a glass you would use for sparkling wines such as Champagne, Cava or Prosecco. You might even use two different glasses for the same type of grape: While they recommend wide-bowled glasses for Chardonnays with big, full flavor, narrow glasses better complement the more acidic varieties of this wine. Did you know there are even special glasses for Rosé? These have a flared rim, which funnels the wine toward the top of the tongue to minimize the acidic taste of this wine, while the wider bowl helps draw out the fruity notes. 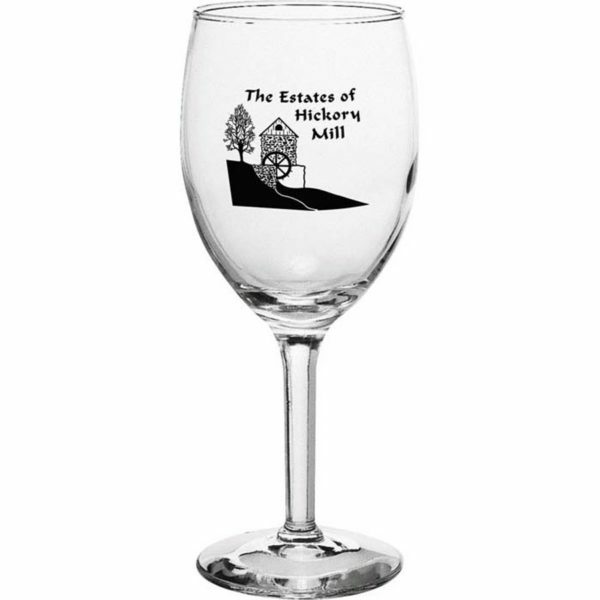 Again, you can serve a variety of wines in the same glass without embarrassing yourself, but a true connoisseur has many options for heightening the wine-drinking experience. Of course, nobody impresses with a dirty wine glass. 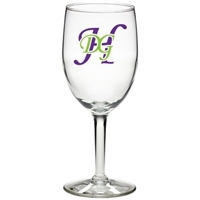 Whether you’re buying your stemware (or stemless ware, as the case may be) to stock a restaurant or café, place on the shelves of your retail shop or outfit a catering company, it is important to know the best tips in wine glass cleaning. That way you can either pass them on to customers to add value to the sale, or use them yourself to give your patrons, clients and guests the best possible service. While it might be okay to leave glasses that contained sparkling or white wine overnight, you should always at least rinse glasses that contained red wines or Rosés. The tannins in red wines can stain glassware if you don’t get it off, so even if you must leave the wash till the morning, do a quick rinse. The best way to care for wine glasses is to wash them by hand. Use only a little bit of soap to avoid leaving residue, advises Better Homes and Gardens . While washing, hold the glass by the bowl rather than by the stem and be gentle to avoid breaking the glass with hard scrubbing. If you want, you can use a special brush for cleaning stemware, though a regular sponge or bottlebrush will work too, so long as the bristles are soft. Rinse carefully and set upside down on a lint-free towel to dry. Using a dishwasher in a restaurant kitchen? No problem. Unlike crystal, glassware can totally go through the dishwasher, as long as you put it on the gentle cycle (no pots and pans, people! ), minimize the amount of detergent so you don’t leave streaks, and space glasses so they don’t clink against one another or other dishes during the wash. When taking them out, use a towel to avoid leaving smudgy fingerprints that ruin the presentation. Of course, the same goes for a home kitchen on a smaller scale. Cleaning instructions and wine glass use form a solid foundation for learning about wine, but if you’d like to know more, there are plenty of resources available. Perhaps you’re a professional sommelier and already know a great deal, but for the average home cook, fine wares store owner or even caterer, it’s always possible to expand your knowledge base. If you really need a fundamental education, start with Wine Folly’s Beginner’s Guide to Drinking Wine . In addition to a brief overview of the different types of wine, serving basics, handling and tasting wine, and pairing it with food, you’ll learn how to buy it along with plenty of other handy tips. Keep in mind that a solid understanding of wine can take a lifetime to master, especially if you’re a weekend warrior or dilettante rather than a professional. Don’t let that stop you, though: wine, like food, is a basic human pleasure, and learning more about it will not only increase your enjoyment, it’s bound to impress your friends or clients, and make dinner parties and special events that much more memorable.